These mandrels feature hardened steel shanks and multi-layer diamond coated surfaces. The diamond particles are bonded onto the mandrel through the "Electrogrip" process, which maximizes diamond particle exposure assuring a free cuttting action which greatly reduces heat and wear. 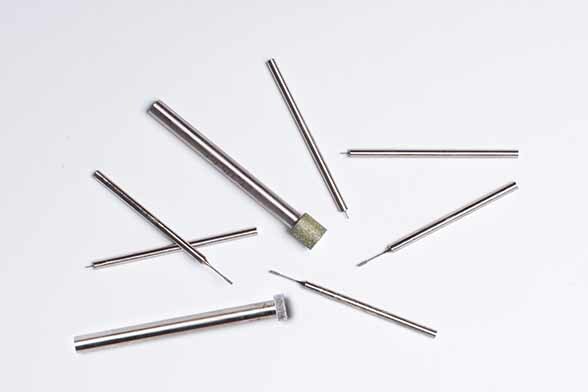 These mandrels, when used properly, consistently outperform conventional single layer diamond mandrels.